After you entered the incorrect password several times, it could be possible that your phone will ask for a PUK code. 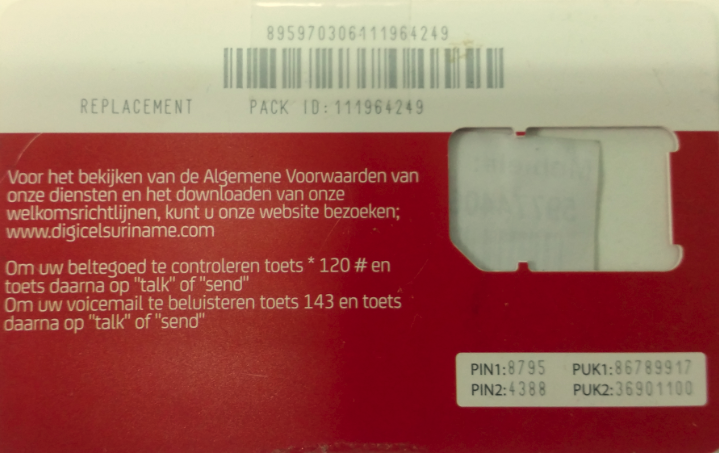 Your PUK code can be seen at the back of your SIM packet. Below you will find an example of the SIM packet. At the bottom right you have the PUK codes. Contact us if you need to be assisted with your PUK code.